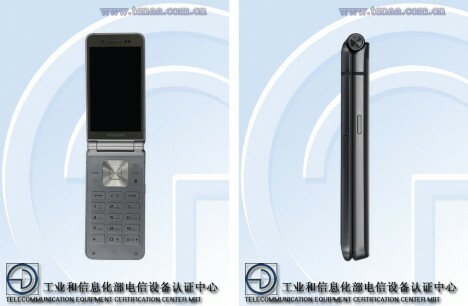 Metal and glass with a big screen, it looks at a glance like any other smartphone, but this verified leak shows something only older phone owners will remember well: a clamshell-style, flip-out component that turns back time to the era of the flip phone. Effectively, it is a Galaxy S6 with a fold-down addition that will help protect the screen and make for easier shoulder holding all without adding too much in thickness. 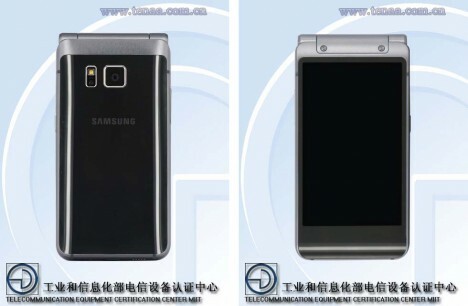 According to one source, “It will most probably be released as the SM-W2016, and it features two 3.9-inch Super AMOLED displays, each with a resolution of 1280 x 768 pixels, a numeric (T9) keypad, a 16-megapixel primary camera, and a 5-megapixel secondary camera.” While Samsung did recently release a flip phone in Korea, it is hoped that this one may make its way to Europe and the United States as well. In terms of internal hardware, the SM-W2016 features a 64-bit octa-core Exynos 7420 processor, 3GB RAM, 64GB internal storage, and runs Android 5.1.1 Lollipop. 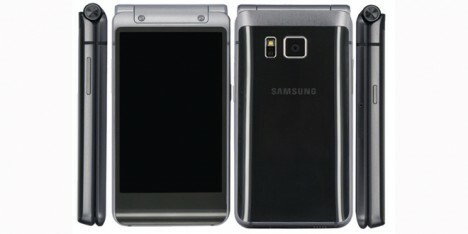 The device weighs 204 grams and has dimensions of 120.4 x 61 x 15.1 mm. It’s a high-end smartphone, and will definitely have an appeal with clamshell lovers who want a Galaxy S6 like premium device. See more in Phones & Mobile or under Gadgets. November, 2015.